Apple has updated universal search on the fourth-generation Apple TV with support for Spike, Nickelodeon, and Nick. Jr., while separately expanding the number of services compatible with its "TV" app for both tvOS and iOS devices. 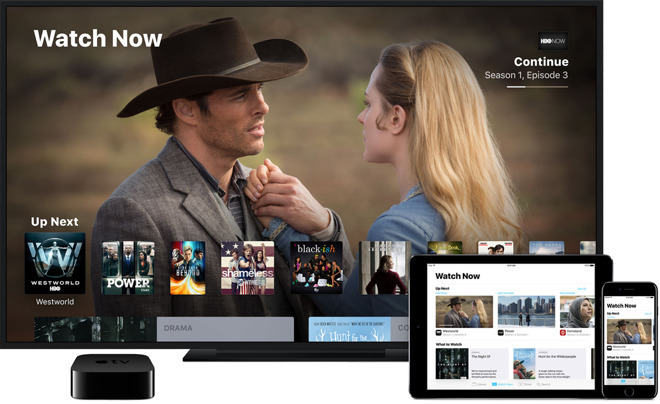 Though universal search results, an Apple TV can identify all of installed apps hosting a particular show or movie, making it easier to pick between them. The newly-added services are only supported in the United States. The same goes for the latest "TV" additions, which include Sony's ad-supported Crackle, the classic and arthouse-focused FilmStruck, and finally Freeform, a Disney/ABC channel previously known as ABC Family. When and where compatible, the TV app offers a centralized interface for movies and TV shows, linking together different services. It can also be used to find new material to watch, or new apps to try. So far 51 different services are compatible, such as Apple Music, Hulu, HBO Now, and the Cartoon Network. Most are U.S.-only. In the U.S. universal search results now include 56 services. Support in other countries is extremely low, the next biggest region being Australia, with just eight options —among them Apple's iTunes.